The NVR you selected does not have a built-in PoE switch. 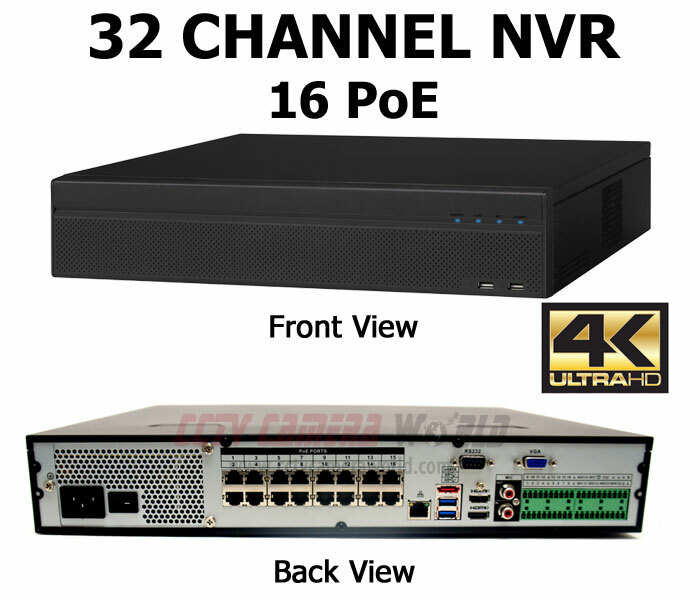 For NVRs 32 channel and greater, there is no option for built-in PoE. 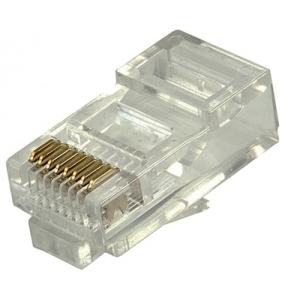 Please choose whether you would like to purchase a PoE switch with your NVR. 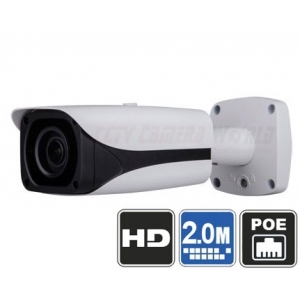 At CCTVCameraWorld we have broken the barriers of CCTV video resolution. 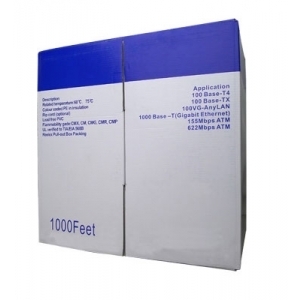 Now you can purchase a system that is higher resolution than 1080p. 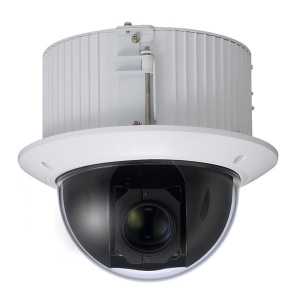 On this page you can select components to build your own customized 3 Megapixel IP Network Camera System. 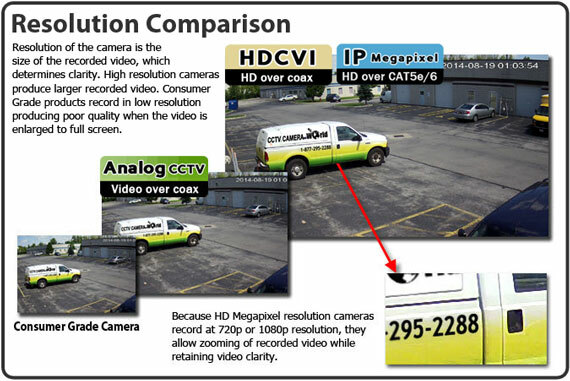 We've made it easy by narrowing it down to select NVR recorders and IP cameras that we have tested to operate at 3MP resolution. 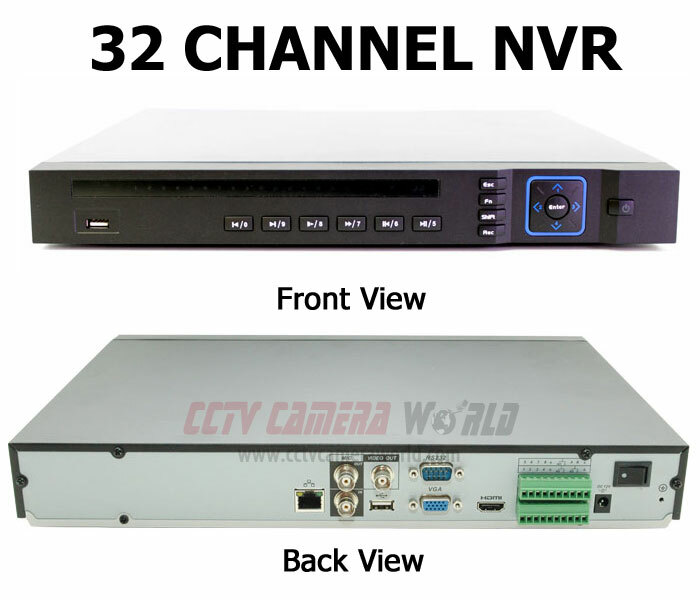 Simply choose the NVR and cameras that will work best for your application. 3 Megapixel cameras are great for situations where you need a lot of detail in your video. So when you playback recorded video you will be able to zoom in farther, more than 1080P or 2 megapixel video will allow you. 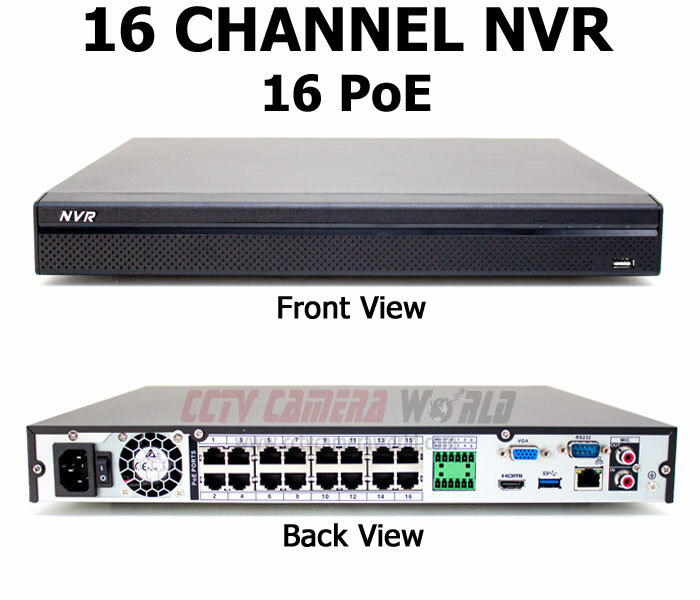 Building a IP network camera system starts with the NVR recorder for which we offer 4 thru 64 channel NVR choices depending on the total number of cameras you will be recording. Once you select the NVR recorder, be sure to choose storage capacity. The more terabytes (TB) you choose, the longer the video will be recorded. Please note than NVRs larger than 16 channels do not support PoE because of physical size limitations. For larger IP camera systems, we suggest purchasing either multiple 16 port POE switches, or purchase an enterprise PoE switch that supports more than 16 ports. This friendly IP Camera System Builder will present you with the option to add a PoE switch for the 32 and 64 Channel options. We have also included 2 Megapixel camera options towards the end, just in case you would like to mix it up a bit and have both 3MP and 2 Megapixel cameras on the same system. 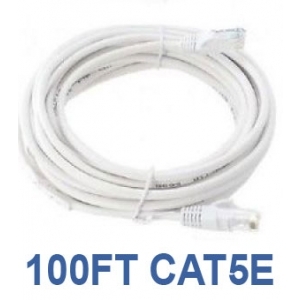 After you have selected cameras, choose the length of cables you would like and you're done. 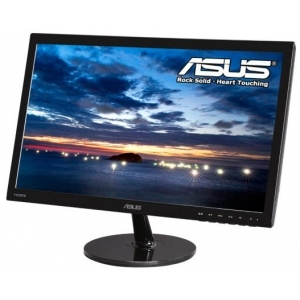 If you would like to purchase a monitor to connect to the NVR recorder, or browse through optional accessories, feel free to browse the Related Accessories section. 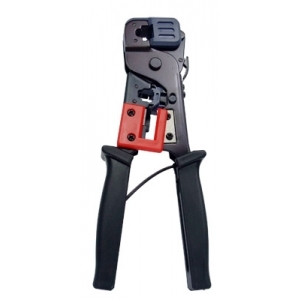 The wiring options for this system include video and power transmission over one wire. There is no need for a electrical outlet near any camera. 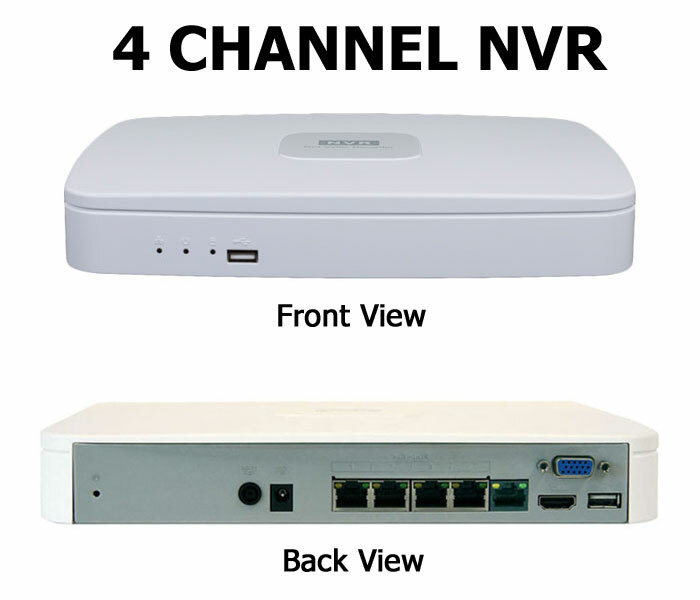 All you have to do is run the network cable from the camera to the NVR, and that one cable will power the camera using Power Over Ethernet coming from the NVR and transmit video from the IP security camera to the NVR. 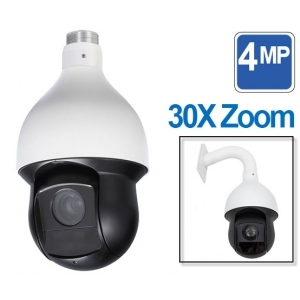 Note that the PTZ cameras require more power and are not PoE; they come with a 110V to 24V AC power adaptor for each camera. 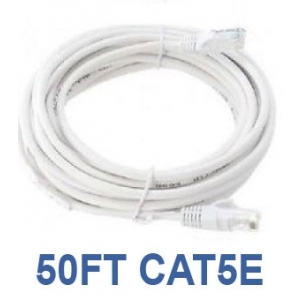 If you can run a cable from the camera to the recorder, then you can install your own video security system. 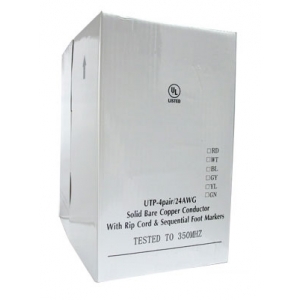 To help you along the installation process, we have you covered with great support. 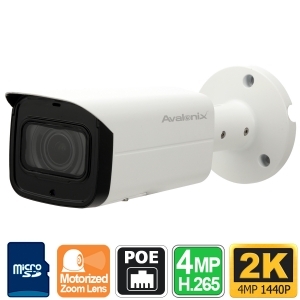 Once everything is wired, give us a call and we will help you put your cameras online for remote viewing and answer any installation related questions. Our online YouTube video channel is also packed with great tutorials and product videos. Our online guides and videos teach by example. We spent a lot of time making instructional videos so our customers can quickly learn how to use their security camera system, and get the most out of them without ever having to pick up the manual. At CCTVCameraWorld we don't believe in monthly contracts. When you buy a system there are no monthly fees, contracts to sign, or other hidden charges. What you see online is what you pay. 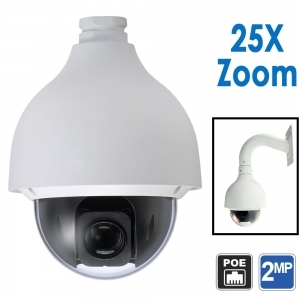 View your system from anywhere as long as you have an internet connection connected to the security video recorder provided in this system. You even receive motion alerts without any monitoring fees. Ideally I would like to talk to a teacher that is using or has used a system like this in their classroom to capture video for professional development. I would also like to see footage from the IPD3FL camera with audio in a classroom setting i.e. 6-10 feet from subject with some ambient noise? Can this camera pick out a conversation? 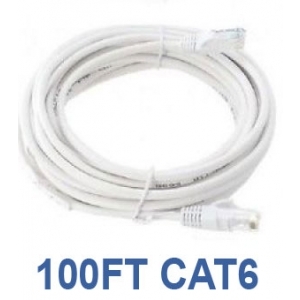 I will put these in my celiing tiles and run the cabling as needed myself. From 6-10ft audio pickup is no problem for the IPD3FL. You can watch the video/audio sample for the camera located underneath the camera's thumbnail (see image below for location). Secondly, please note for capturing audio with IP cameras you need to use a compatible NVR. 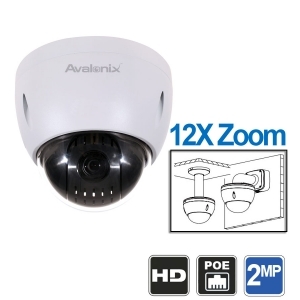 Looking at 4 channel NVR with two 3MP IP bullet cameras. How much recording time will a 2TB configured NVR provide? If you record each 3MP camera at 4mbps, 20fps, you will get 22 days 24/7 recording from a 2TB drive when recording two cameras.